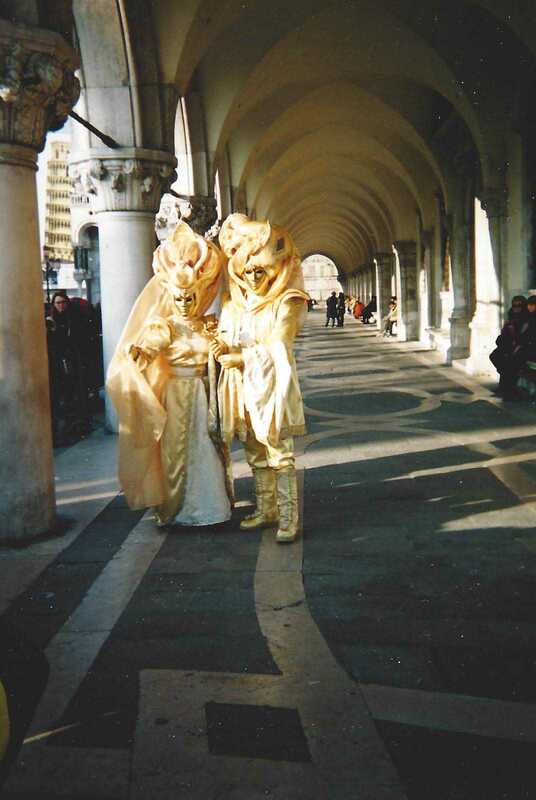 This entry was posted in Costuming, Fun & Friends, History, Venice and tagged Beauty, Carnevale, Carnival, Costuming, Europe, Festival, Fun, Inspiration, Italy, Magic, Tradition, Travel, Venetian Mask, Venice, Italy. Bookmark the permalink. That’s so beautiful! Also a little terrifying, but sometimes you can’t have one without the other. LOL! I guess there is something a little bit eerie about an anonymous horde of revelers, all secreting behind their masks. 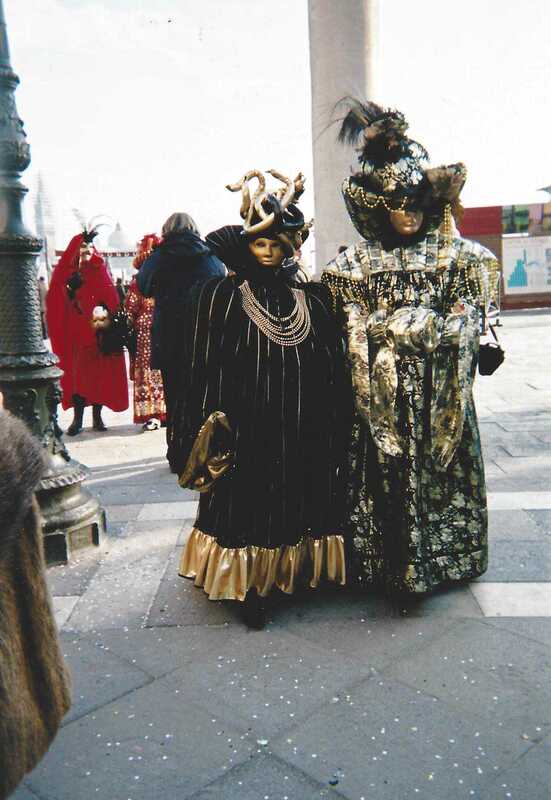 However, in the context of a masquerade, many would argue that that is what makes such an event exciting! 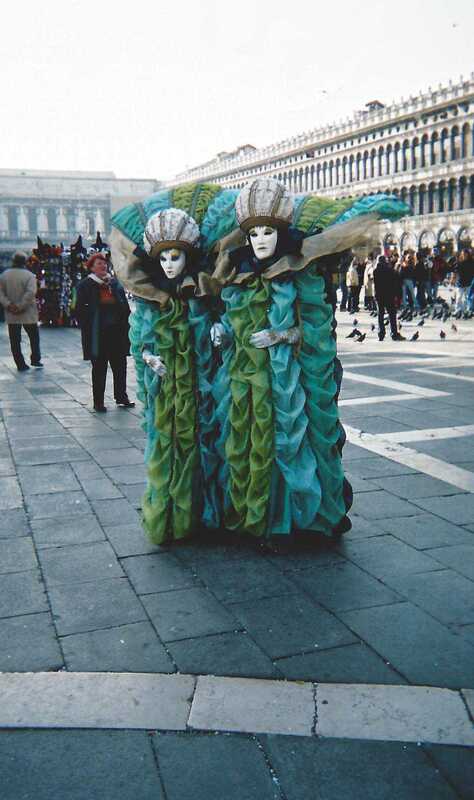 As you so accurately describe, this is one of the reasons I chose to spend time in Venice. 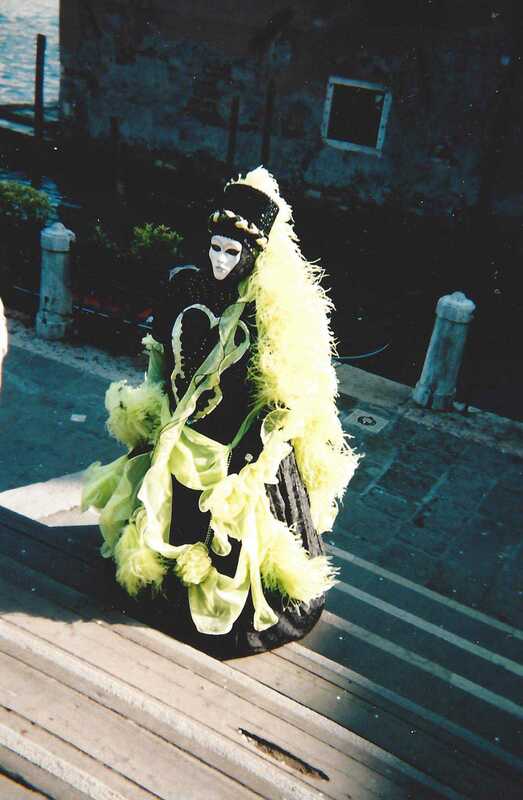 Starting on Mardi Gras and for the next three weeks I dressed “en femme” with my mask being my make up. Not only was I discovering a magical place, but also as someone totally different from my usual persona. The stage was set and I reveled in it! Thank you for sharing your photos. And thank you for all of your thoughtful reflections! They are so appreciated! I too reveled when Lita and I spent a week in our gowns. As a 21st century woman who LOVES history, I’ve always wanted to experience what it felt like to wear the trappings of women from other time periods. I’ve enjoyed a few seasons of costume theatrically. 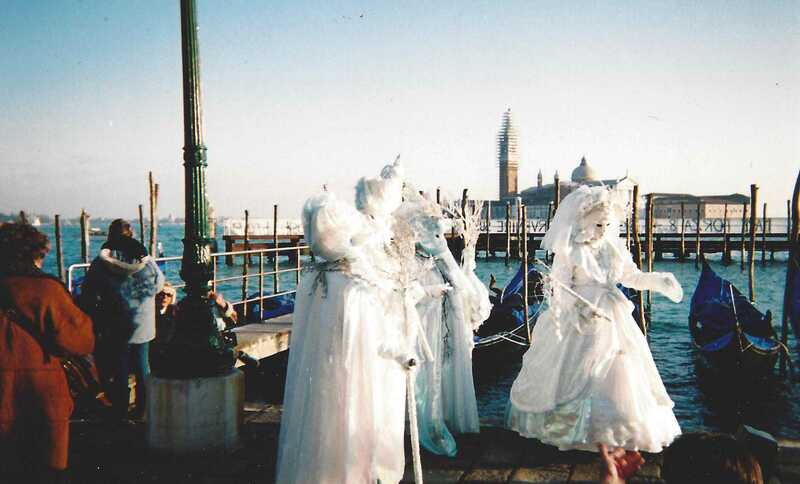 But during the Carnival in Venice, you can almost believe that you’ve gone back in time. You can transcend what century it is for a spell. I loved every moment. I cannot wait to do it again! I’m with you on that one…(eternally long sigh). 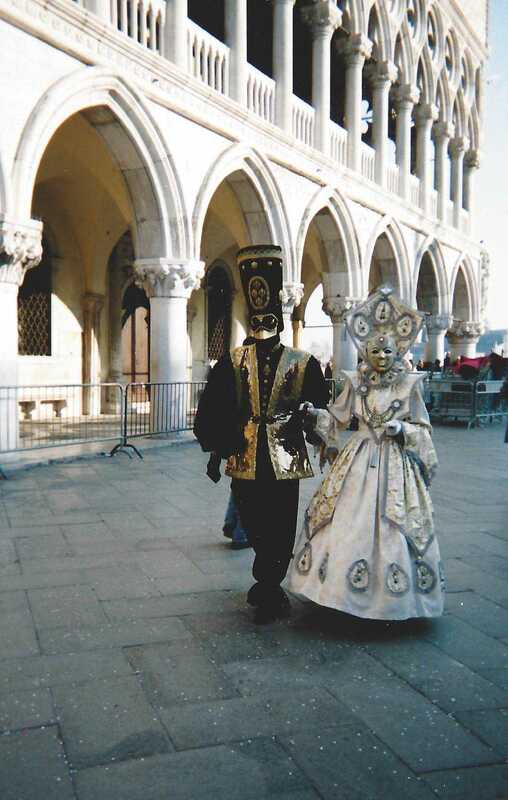 They are a French couple who live in Venice….thus the site being in French. They take such beautiful photos and videos. The link above is their Carnival section. 17 days and counting….I arrive the day after it ends…on purpose. Thank you for sharing this! Your trip is almost here! How happy I am for you! Still need you to email me your address so you’ll get a postcard, maybe two. 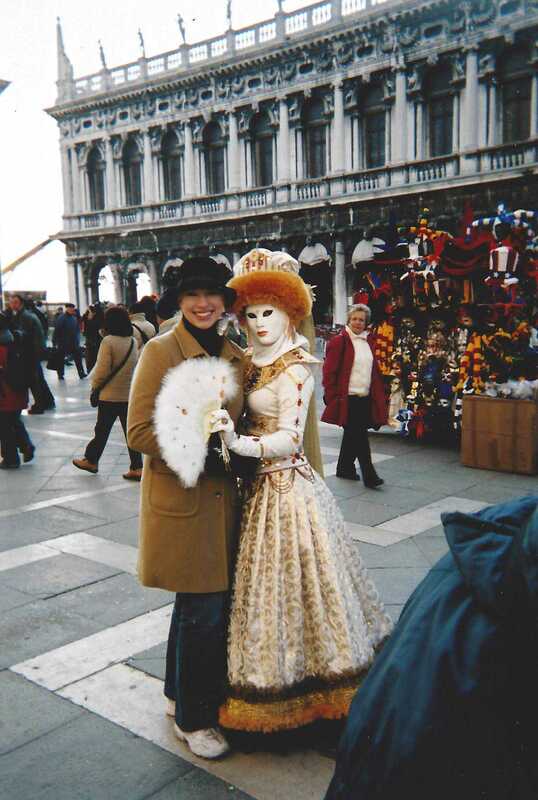 Postcards from Venice! I can’t wait to receive them!